PARCE rum, the small batch ultra-premium rum from Colombia, led this year's rum category in a grand manner: PARCE's 12-year-old rum took home top honors as "Best in Show Aged White Spirit" and "Best Rum" at the 8th Annual New York World Wine & Spirits Competition (NYWSC). PARCE (pronounced "PAR-say") won double-gold medals for their 8 year and 12 year aged rums, and a gold medal for their new 3-year rum. 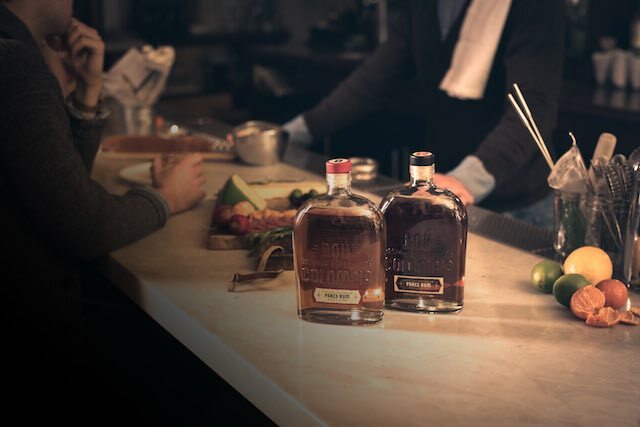 In five categories they again emerged as a "best of the very best" in a competition that drew 340 entrants – many from the largest spirits companies in the world. "My brothers Patrick and Brian, co-founder Jaime Uribe, and me are very proud Parce Rum again received top honors," says CEO Jim Powers. "The New York and San Francisco competitions have impeccable reputations. Their judges are top bartenders, mixologists, and chefs in the world." Adds Powers: "This newest recognition is tribute to our rapidly growing base of Parce fans in Colombia and throughout Latin America. Now that we have an exclusive supplier for Parce in the US via importer Turquoise Life, Parce is poised for further growth throughout the US too." The Powers brothers and Jaime Uribe selected Bogotá-based father and son duo, Master Blenders Arthur and Brojen Fernandes Domecq, to blend an aged rum with a dry, whiskey-like finish for PARCE that the brothers favor. Brojen and Arthur artfully produce PARCE in Armenia, Quindio Colombia, blending select distillates sourced from Latin America and the Caribbean. The spirit of family, community and craftsmanship is reflected in the very name of the rum itself: "Parce" is slang in Medellin, Colombia for "buddy" or "pal," spoken among friends. The perfect moniker for a small rum company of pals now finding success in the crowded world of international spirits. For its founders, PARCE also means friend to Colombia and friend to the Earth. Since the very first bottle sold, PARCE has planted more than 22,000 native species trees in Colombia to slow deforestation there. Visit parcerumtrees.com to see their efforts.